Writer’s Camp NaNoWriMo is a writers challenge and inspiration. I highly encourage it for those of you thinking about writing… signing up and making a commitment to write 30,000 words became the bugle call in the morning that nudged me to pad and pen. Pressure and excuses came in like a marching band playing loudly and reminded me to step up the pace and get it done. I am glad I challenged myself to complete a project. I felt stuck and wanted this camp to be an impetus to just write and see what the break through would be. Sure enough a chapter came together and then another one and another and before I knew it I reached my goal of 30,000 words for the month of July and earned a badge! While virtual camps are fun I do miss the camaraderie that my writers group offers though. Folks like you and I writing, exploring various forms of creative expression, the frustrations and the joys of seeing something accepted for publication or successful self publishing. Hugs are good when success is achieved! Wishing my cabin mates the best! What’s the next step? Stay tuned for announcements of two books I have in the works. My next goal is to get them published by the end of this year or sooner. To the folks at Camp NaNoWriMo: thanks for the encouraging words, s’mores of encouragement, boatloads of tips and help rowing when the arm and hands got tired of rowing seemingly upstream some days. It was fun. Now let the revisions begin. I am happy to announce that the Windmore Foundation for the Arts 2012 Anthology is available on Amazon and Kindle.For me personally this was a great creative experience from submission selections to cover design to editing. I learned so much and I am pleased to have been part of this creative endeavor. 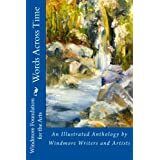 This 2012 anthology, Words Across Time, is a celebration of twenty years of creative writing by members of the Windmore Foundation for the Arts. For months the writers from Pen-to-Paper submitted their poems, stories, and essays to the anthology committee. It was difficult to select from such amazing talent. The anthology team chose the submissions that touched us by making us think, laugh, or cry. To complete the journey through time, selections from three other Windmore anthologies were used to represent previous years. Those books are: Windmore Writers’ Anthology, 1992; Touching the Heart, 1996; and Images in Ink, 2010. 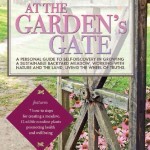 The authors from those anthologies are pleased that their work is still recognized as relevant. I’m sitting here at the winery in the tasting room that overlooks the vineyard while grey clouds fill the sky and hide the sunset. Dozens of birds flit through the trees, strut through the grassy field, and fly through the vineyard leaving spots of bird poop filled with seeds everywhere. I have cleaned the tables and chairs on the outside deck twice in the short time I’ve been here while enjoying the afternoon haze and mild temperatures. I can’t help think that my life has a romantic flavor to it. Here I am in a vineyard, quiet and stately, that awaits winter’s coming and going so it can bloom again. 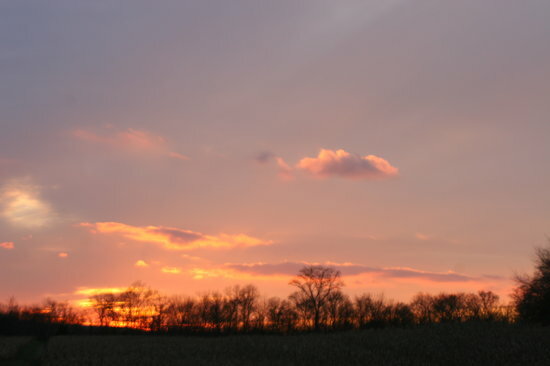 Clouds pass by and keep the air mild though the sun goes down as if behind closing doors. The tasting room, clean and orderly, waits for a holiday shopper. Evening slowly pulls down the shades of the day as I sit and read a novel while waiting for the owners to return from errands. The owners have the room ready for their family’s Christmas celebration only a few days away. Petit Verdot, Vidal Blanc once lovely grapes on a vine now transformed into wine fill the shelves near me. Here I am in a lovely quaint setting. A romantic one too as the soft illuminations both inside and out light my heart in this place where I have landed. As I sit in the silence here I feel a feeling of love being reborn within touching places that have chains and locked doors, rusty and oxidized that still remain. I feel something this gentle evening that seems to softly rattle those chains and jimmy the doors. It seems as if a golden thread from love’s source seeps through the cracks under doorways and through keyholes finding its way in somehow no matter how I resist. How this happens I cannot tell you but hope enters in and catches me off guard this evening. I feel softness, a tenderness stir in my heart reaching places I thought hopelessly blocked. I feel the breath of love in the wind. It caresses my cheek touching me. I sense romance in the air tonight too. Ironic isn’t it? It seems as if I needed to feel love heal and then stir within me, in this magical silence before I can open to love again. There is no man by my side as I close up the tasting room and head home; no one to greet me when I open the door to my home. Yet it is love I capture in my beating heart that I will hold close as the chains rust away so I can reopen the doors to love again.